A hate crime is being investigated after an offensive Brexit-related leaflet was delivered to the headquarters of a Polish-language UK regional newspaper. Nottinghamshire Police has launched an investigation after the leaflet was set to ‘East Midlands po Polsku’, which serves the region’s Polish community. 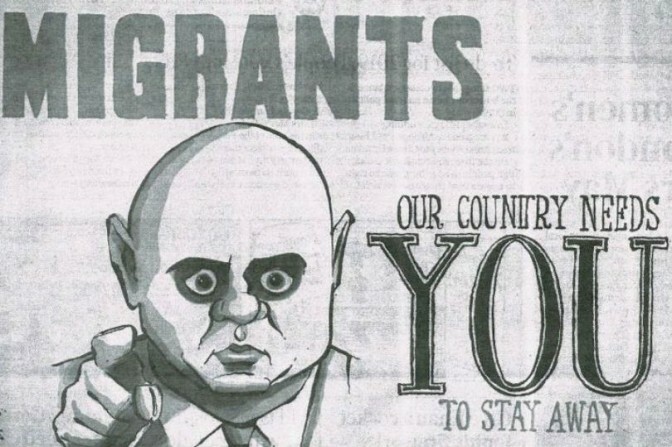 The leaflet features a copy of an original cartoon depicting Home Secretary Sajid Javid with the words: ‘Migrants: Our Country Needs You To Stay Away’. The words “Brexit Means Brexit” and an offensive message saying “Just Get Out Of England” were added underneath. Editor Beata Polanowska told the Nottingham Post: “We are a respected local newspaper for the Polish community. I couldn’t believe I was holding a hate note in my hand. She added: “I came here in the 90s, and feel that Nottingham is my home. However, there are moments when I think I should go back to Poland. “When I meet someone who is going back, it makes me think a bit. It has happened quite a bit since the referendum, and it’s a difficult moment – I feel quite torn. 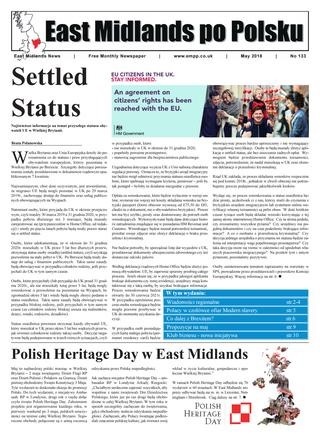 The paper is published by The Signpost To Polish Success, a non-profit organisation based in Nottingham. Hate crime? Not on the evidence here, More a dislike misdemeanour. The police shouldn’t waste too much time on it. This is a hate crime! It targets a section of the community and stopping investigating incidents like these normalises hateful behaviour which should be stopped before it escalates!